The ANOKHI trifecta began business in 2002 with the launch of its first of many media offerings, ANOKHI VIBE magazine (later re-named ANOKHI magazine), which was a quarterly print glossy focusing on North America’s South Asian community as it pertained to lifestyle, pop culture, and entertainment. The magazine quickly became a favourite amongst the community, winning a number of awards, accolades, and acknowledgements, because it was the only magazine of its kind that spoke comprehensively to the community’s dual identity – “integrated immigrants” or “proud expats”, as well as the North American born “second” and “third” generation. The magazine saw much success and became the benchmark by which South Asian mainstream identity was being recognized. Moreover, the magazine had great crossover appeal, as it was equally known amongst the mainstream community as it was within the South Asian diaspora, which in its early days, was an anomaly since most media was either only mainstream or only cultural. 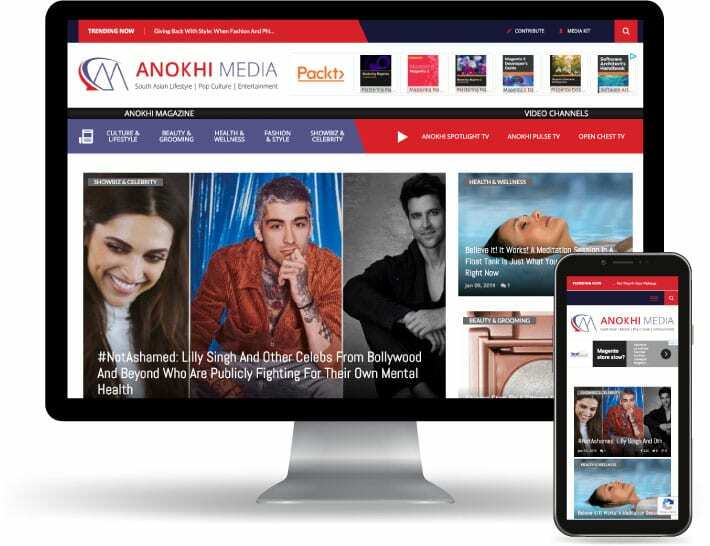 ANOKHI Magazine is now a monthly digital property which has remained a relevant and reliable resource to acquire knowledge about one of the most visible, highly educated, prosperous, and brand savvy cultural groups in North America.